Boston is the capital of the State of Massachusetts. It is also the largest city in the state. Over 650,000 people live in Boston. It’s also the largest city in New England. Boston is one of the oldest cities in the country. It’s known for its rich history. Boston is also a very intellectual city. And more than that, it has everything for everyone. Here you can enjoy history, arts, and culture. A lot of great restaurants and shops can be found on the riverfront. Boston is not just an amazing place to visit, but to live. Education is great here. There are many known schools and universities. Many good jobs are available. Housing is also great. Summers are hot in Boston. Cold in winter is softened by the ocean. It can snow heavily. 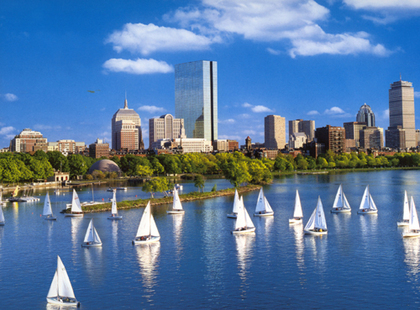 Boston attracts many visitors and newcomers. When you travel from state to state, there can be a problem of moving your car. The good news is it’s not really a problem! To ship your car to or from Boston you can use Boston Auto Shipping. When you ship with a reliable Boston Auto Transport company, you will know no stress. Just make sure you have checked the company’s ratings and services before booking with them. AM PM has been safely shipping vehicles to and from Boston since 2008. W can help you with any kind of Boston Vehicle Shipping. We work with all kinds of vehicles for Boston Auto Transport. We also offer great pricing. AM PM has discounts as well! Going to Boston to study? Don’t forget to inform us, as we have discounts for students, as well as military and seniors. AM PM will be happy to help you with all your Boston Car Shipping needs! Call us to get more info and book Boston Auto Shipping.